We set off with three German couples and our guide Taoufik in a van toward the Atlas Mountains. We should have brushed up on our French a little more before heading out, as Taoufik spoke little English, however he was full of joy and excited to show us Morocco. We learned quickly that through the roads were mercifully paved, they were still rather precarious. Especially because everyone drove it absurdly fast despite the hair-pin turns and huge coach buses that you encountered. 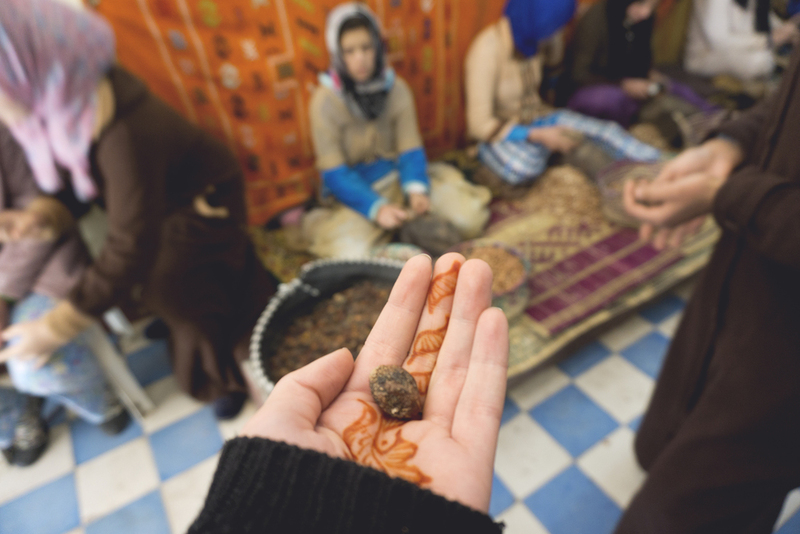 We stopped to learn about the Argan fruit at a woman's coalition. Though most popular state side for being a hair product, argan can also be made into an edible oil and butter, both of which were tasty. Though I'm not sure if that was just because we were all pretty hungry between Tagine and kabab meals. It was interesting to see the original fruit and the process it goes through to have each product made. However, the assembly line of women that were there as examples seemed melancholy and made me wonder about their lives. We caught a glimpse of Ait Benhaddou, a ksar along the former caravan route from the Sahara to Marrakech, now a UNESCO World Heritage Site and filming location for many of my favorite movies. It was probably one of the sites I was most looking forward to on our journey. We stopped outside in the new city for lunch before entering the old city on our tour, this is where we confirmed how much Moroccans love their carbs. Fries, rice and chicken kebabs, paired with lots of Coca-Cola. 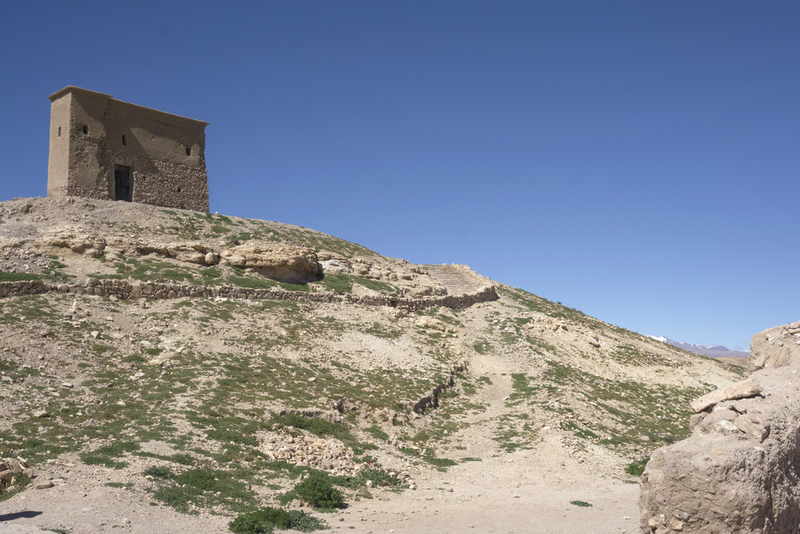 Ait-Benhaddou was amazing and we had beautiful weather for our small trek in. None of us really understood how we were to make our way into the city, and Taoufik had passed us on to another man who would lead the tour. We made out approach through the new city, where we crossed the river (with the help of some young boys) and wove our way through the very old city. It felt entirely foreign and as though we had stepped back in time centuries, even though construction only dates back to the 17th Century. It was a bit of a climb to the vue panoramique and I think we were all sweating, I wish I had savored that feeling though because it was probably the warmest we ever were on the trip. 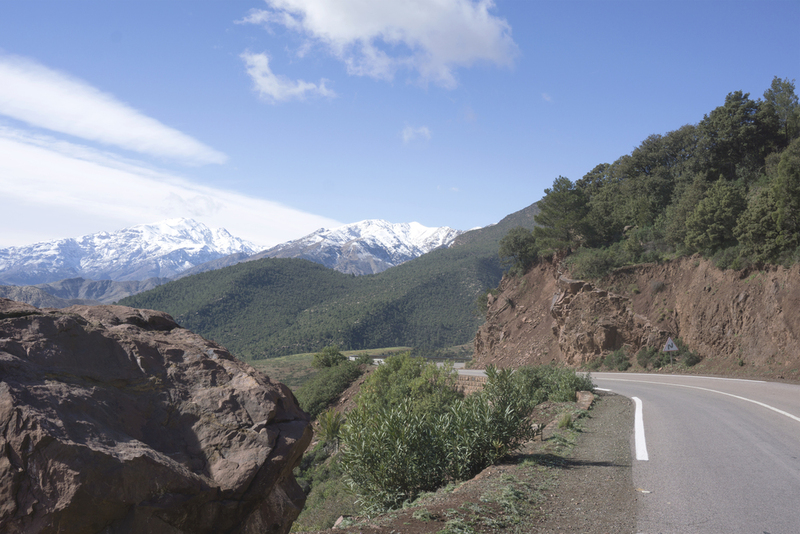 We kept on driving through the Atlas Mountains, with a stop in Valley of the Roses. Although the roses weren't blooming, we stopped a rose good tourist shop, sprayed our bodies and rehydrated. I thought the contrast between water sources was rather striking. We were to drink only bottled water on the trip, and had been warned that it does make many westerners sick. However, that was a functioning well in the Valley of the Roses, and this was by far not one of the smallest towns we stopped in. As night started to fall, we finished our day in the Dades Gorges, a stunning valley and collection of rock formations. The hotel we stayed at was a stop for many groups setting off on desert treks, and we all congregated by the fire in the dining room before dinner. The hotel was set right next to the river, as in we opened our window and looked down into the banks of the river, and therefore it was quite chilly inside. Tagine for dinner, we started getting to know the other passengers now that we weren't confined to a car, but everyone went to bed rather early. We showered that night, knowing that we had an early morning and would be sleeping in the Sahara the next night, we tried to make this one count. It was a pretty bare bones shower, consisting of a tiled room and a shower head that sprayed onto the toilet while you rinsed. However, the water stayed hot for all us, each of us had a towel (after asking the man who ran the front desk and served us dinner) and two heavy berber blankets, and we all slept to the sound of the river below us.